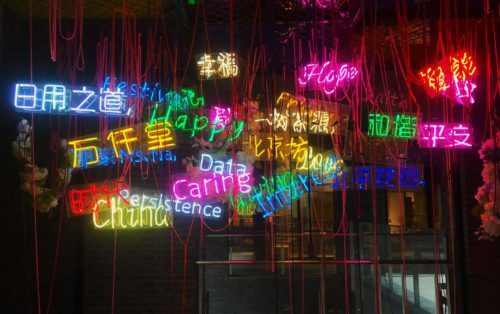 The cat is out of the bag and firmly among the Beijing restaurant scene pigeons: the Georg has just opened to subtle-yet-sleek fanfare in a part of town you might be spending more and more time in. The first concept restaurant from the Danish design brand Georg Jensen, the Georg’s design aesthetic was guaranteed, but this is rivalled – if not outdone – by its modern Danish food. 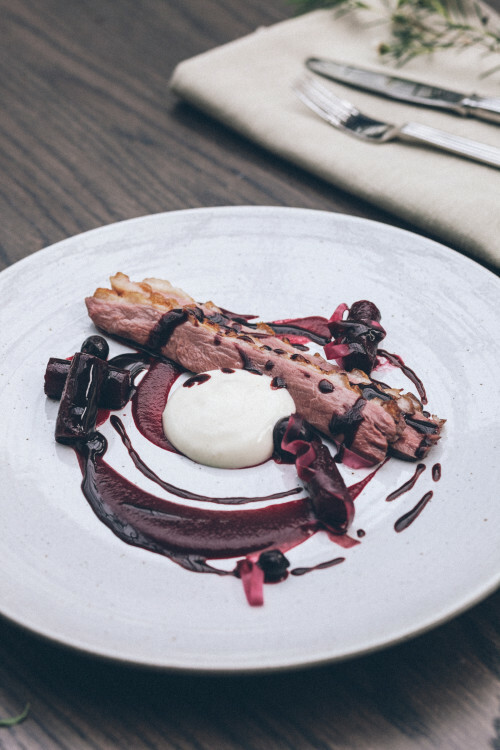 No cucumber in sight: duck and beetroot. 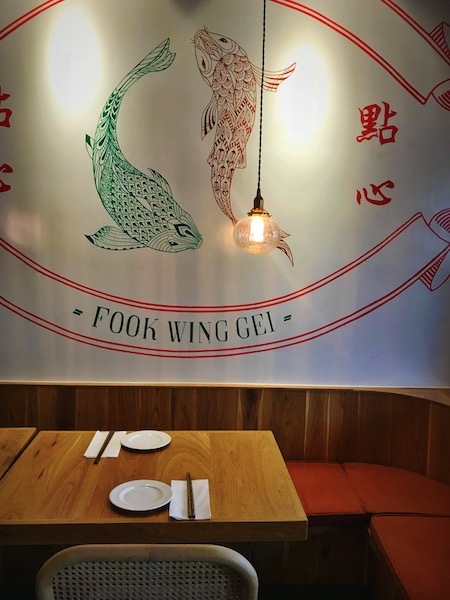 Let us set the scene: you’ve had a stroll by the lake at Houhai, perhaps a sundown drink on the roof terrace at Haven or a pint at the original Great Leap Brewpub, and are in the mood for one of the best meals you’ll have this year. Look no further. 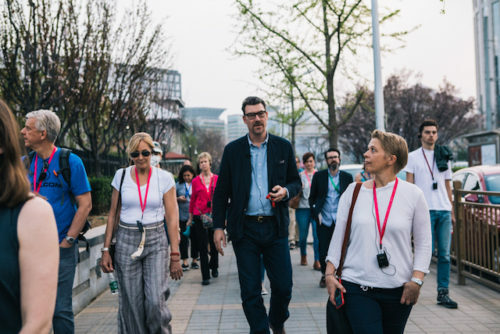 Simply cross the road at the bridge near East Shore Jazz (where you could always head back afterwards) and follow the path along the canal past that renovated/reimagined hutong area and you’ll come to the signs – beacons of haute cuisine hope. 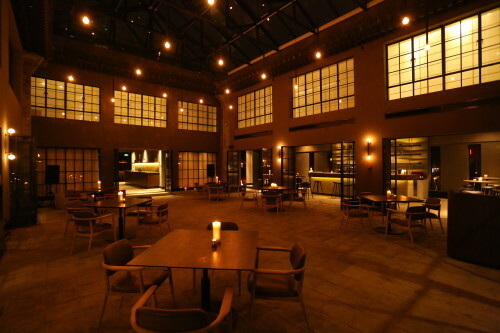 The setting is bold: a vast glass atrium spans two-storey hutong buildings set around a courtyard, creating a sense of space that makes you want to throw a party for everyone you’ve ever met (there’s room). 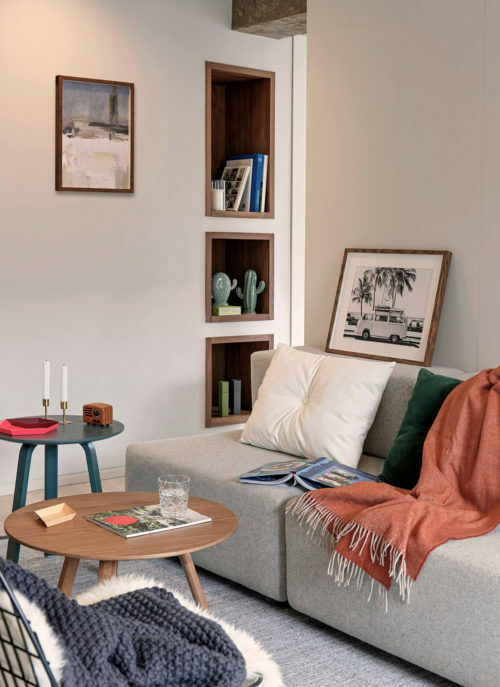 The mid-century Scandinavian furniture will start to work its charm on you. Sunlit during the day, this area is also a cafe. Looks can be deceptive, so just dig in to taste what it really is. 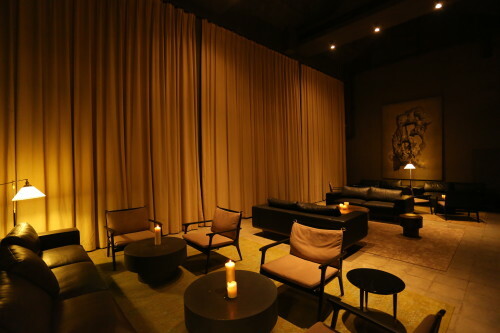 A smart bar occupies the building to one side of the courtyard and a double-height lounge that looks like it has been created for a luxury Scandinavian photo shoot is in the other. The main restaurant area is to the rear, with curved leather-upholstered banquettes and glints of home-designed silverware throughout. 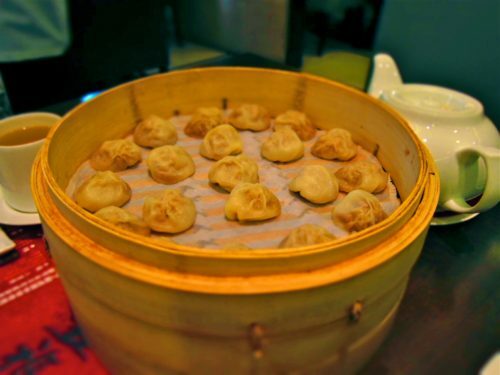 The menu does not separate into starters and main courses, but instead every dish is 130RMB. 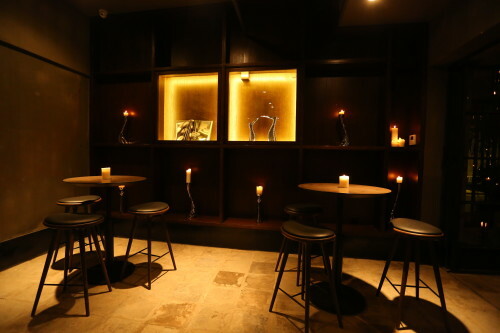 Or they’ll put together a selection of dishes for 450RMB. 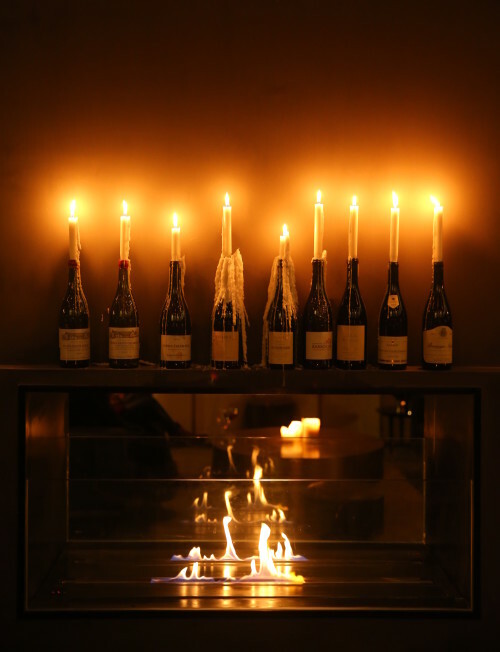 Wine pairing is available for another 450RMB. Sit for a while and think about what just happened. 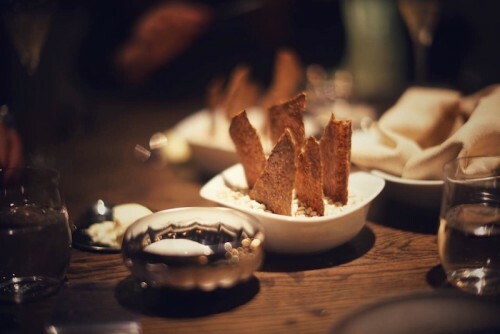 As manager Stefano Censi explains while setting down a basket of flaxseed crispbreads and yoghurt dip – although the cuisine is best described as ‘modern Danish,’ it’s not ‘in-your-face’ Danish. 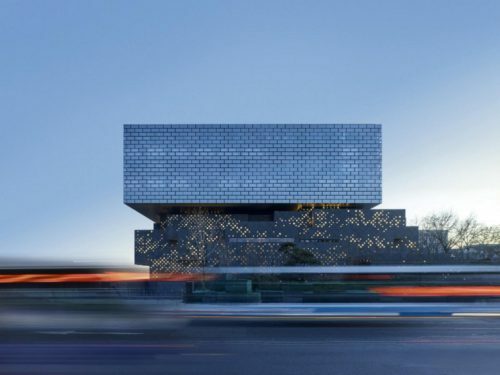 He also points out that the uptake of clean Scandinavian design in China goes hand-in-hand with welcoming the region’s cuisine, allowing for this silverware and dining concept store he believes will be a hit with locals. Menu items have stark descriptions, allowing the staff to explain the dishes further and once again when they’re presented. Sauces and finishing touches are added table side for a little theatre. Happily, the brevity of the description allows for endless surprise. 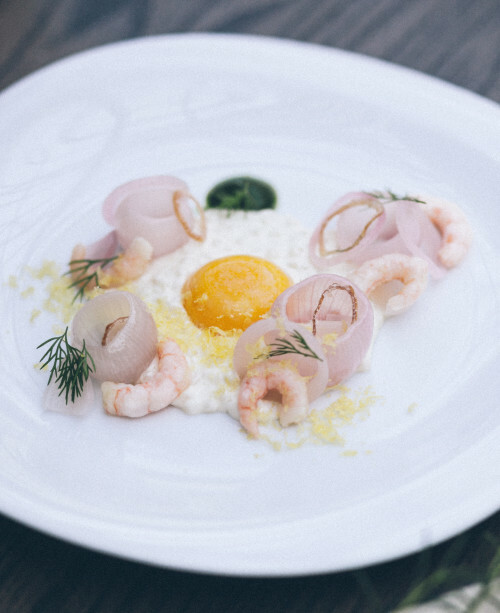 You order ‘shrimp – egg – tarragon’, you get a rich tapioca bechamel encircling a yolk made of a poached yolk with another, salted one grated on top, together mimicking a fried egg, cornered with shrimps ringed with lightly pickled onions. While this was by far the dish closest to novelty, great care had gone into the presentation of all dishes. Colour, texture and depth were consistently well balanced. Things were done to cauliflower we have never seen before. Local and imported ingredients are mixed, but without the baggage of being fusion. 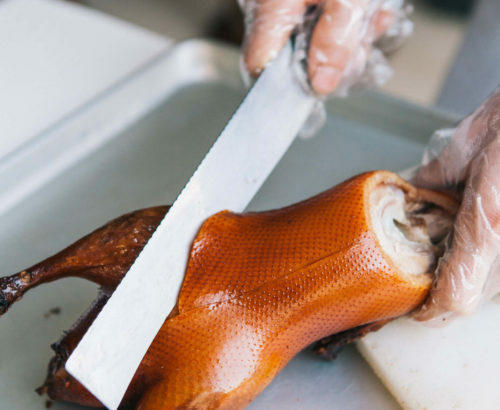 Duck can be served with beetroot and, for example, where the seared cod is described as coming with kale, once served you learn that there are two types of kale in play: Chinese in leaf form, European as a sauce. There’s the option of a cheeseboard, but with locally made cheeses such as Beijing Blue. 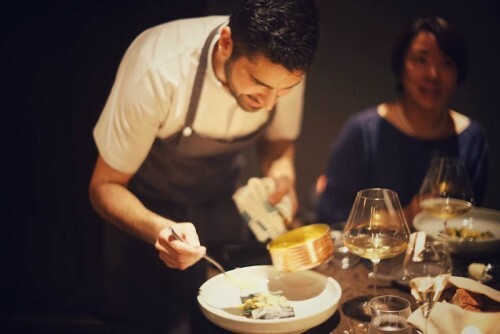 Canadian chef Talib Hudda, after just a couple of years working in Copenhagen, has put together a menu with the team that will do more for Denmark in Beijing than any embassy initiative will manage. 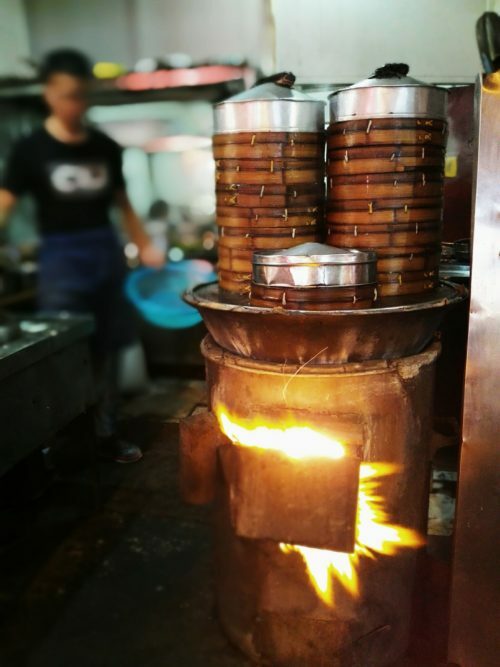 The atmosphere is intimate and cool, devoid of any stuffiness, so we felt fully at ease passing around forkfuls of our dishes. And then they brought their ‘apple taco’ after dinner treats. Just wait and see. 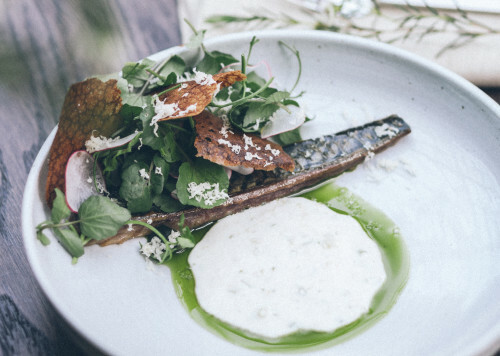 Mackerel as carefully crafted as the firm’s silverware. It’s not often we can say that every dish was a delight. At the end of the meal – over espressos worth ordering just to see the cups – no one could come up with a single fault, not even the old price criticism fallback. No soft opening excuses needed. And if that’s not enough, if you ask very nicely, you might even be able to go up to see the Georg Jensen silverware heritage. Million kuai punch bowl anybody? Winter is looking lovely after all. We already can’t wait for the summer to get up on the roof terrace. Don’t believe such a heavyweight venue has emerged out of nowhere? See for yourself, though please note the restaurant part is closed on Sundays though the lounge area is open through till midnight. The Georg, NB1 Jade River (Yu He), 45 Dongbuyaqiao Hutong, Di’anmen Dong Dajie, Dongcheng district. 东城区地安门东大街东不压桥胡同45号院 (8408 5300). VENUE CLOSED IN MARCH 2018. 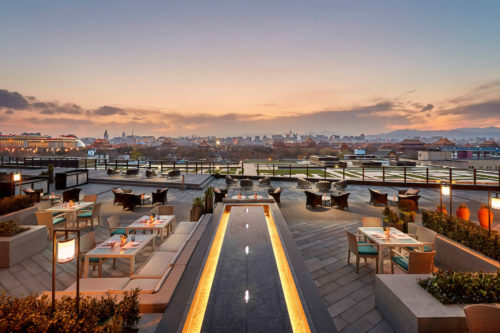 Need Bespoke to help you stay on top of Beijing’s ever changing dining scene? 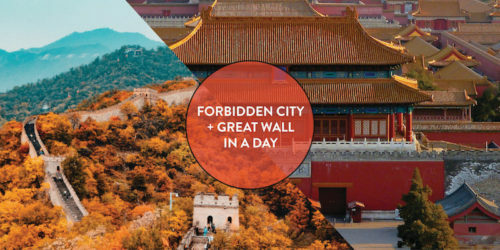 That’s what our Trip Customization Service is for!